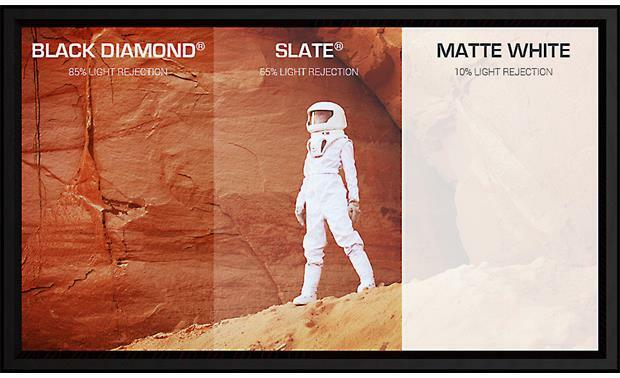 Slate's gray base material and special optical coatings reject 65% of a room's ambient light, compared to less than 10% rejection using a standard white or gray screen. If you're thinking about making the jump to a 4K projector, like one of Sony's SXRD models, a Slate screen makes an ideal match. This material is actually rated for 8K video, so that if and when 8K projectors and content ever arrive, you'll be ready then, too. 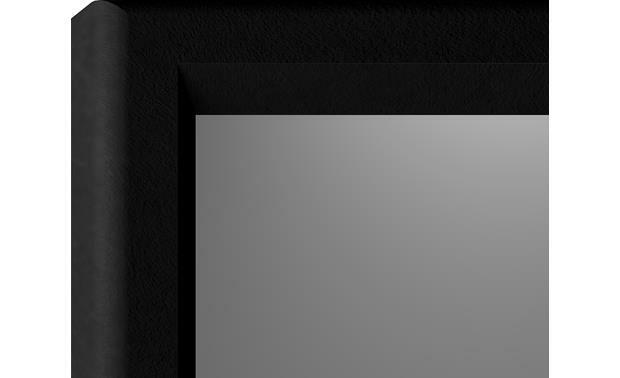 This gunmetal gray surface has 1.2 gain, which gives any projector a slight boost in picture brightness. This screen ships unassembled, and can be put together using basic hand tools. Screen Innovations' patented EZ-Snap™ tensioning system simplifies installation, and ensures an exceptionally flat, tight surface, for projecting a flawlessly smooth image. The screen should be mounted 36" to 42" from the floor. 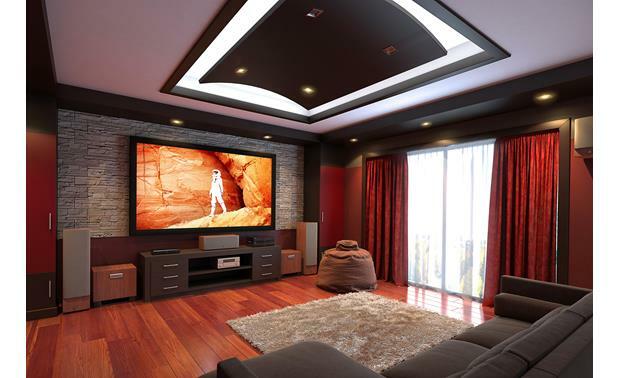 Based in Austin, Texas, Screen Innovations has made it their mission to design and build screens that make it possible to enjoy the big-screen projector experience in nearly any room. They've developed special optical coatings that allow their screens to deliver exceptional picture quality even in rooms with high ambient light. 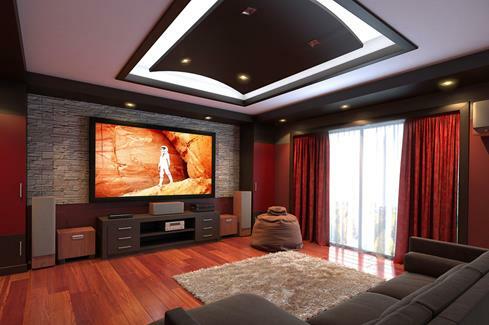 Screen Innovations offers a wide range of screen sizes, materials, and frames to optimize projector systems for residential and commercial spaces. 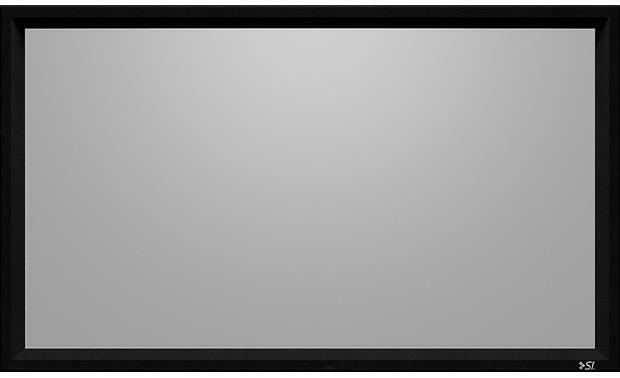 Searches related to the Screen Innovations 5 Series Fixed-frame projector screen with Slate® gray fabric.